The Vault Casino in the downtown Las Vegas casino was sold to longtime gaming executive Gene Wintermote by Bob Stupak. At the time of the sale in 1975 Gene Wintermote was also an executive with the Sahara Hotel and was previously associated with the Fremont Hotel. with partners Steve Lazarus and Sandy Demonds. 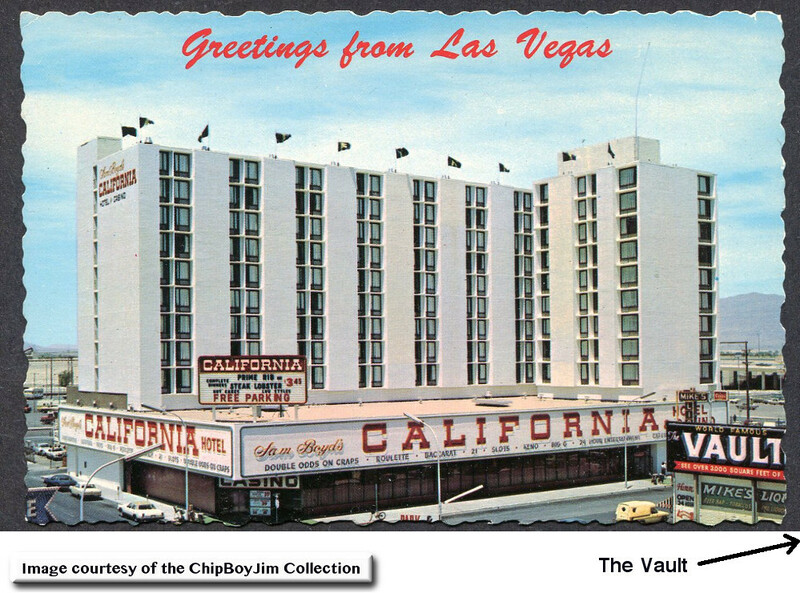 In the postcard above from the California Hotel, the Vault sign is on a billboard above a liquor store and not actually the sign for the Vault. The Vault was located next to Mike's Liquors just off to the side of what is shown on the postcard. 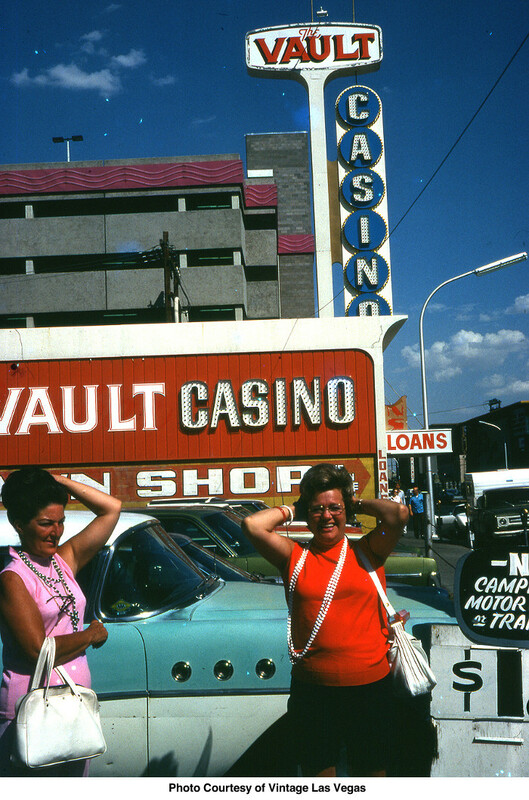 This is one of the only photos I have seen of the Vault Casino. It's a tourist photo showing the two ladies having a great time outside the casino. In the upper left-hand corner you can see the side of the Binion's Horseshoe parking garage. My thanks to Vintage Las Vegas for sharing this photo with me.